Christmas is just around the corner and most businesses have started planning their Christmas party. One of the perennial questions is if and how fringe benefits tax applies to these activities. While such social functions may result in FBT, income tax and GST outcomes, these are covered under the existing relevant legislation. The provision of “entertainment” at Christmas, therefore, mirrors the tax treatment such benefits will receive at other times of the year. Say for example a company holds a Christmas lunch on its business premises on a working day. Employees, their partners and clients attend. Food and drink are provided at the party and the company provides taxi travel home from the party. The cost per head is $125. Does an exemption apply to employees? Where the party is held off premises and the employer pay for a taxi to the venue and then also pays for the employee to take a taxi home, only the first trip will be FBT exempt. The second trip may be exempt under the minor benefits exemption if the employer has adopted to value its meal entertainment on an actual basis. If other forms of transportation are provided to or from the venue, such as bus travel, then such costs will form part of the total entertainment expenditure and be subject to FBT. A minor benefits exemption for this benefit may be available if the threshold is not breached. 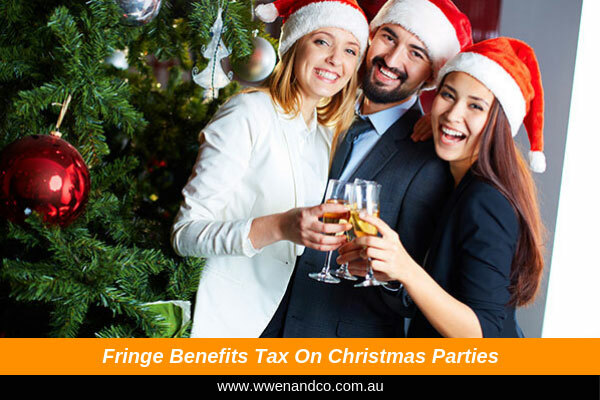 For example, the cost of gifts such as bottles of wine and hampers that are given at the function should be looked at separately to determine if the minor benefits exemption applies to these benefits. Gifts provided to clients are outside of the FBT rules (but may be deductible, see below — also note that deductibility may still apply even if the gift is a “minor benefit”).